Carefully remove the plastic. Dig a hole (in our case, it was already prepared by the Barangay officials). Then place the seedling and cover it with earth. This should be the same level as the soil of the seedling. Add some TLC then you're done. Tree planting was the highlight of SABIT Mountaineer's last weekend's celebration of its 6th Anniversary. 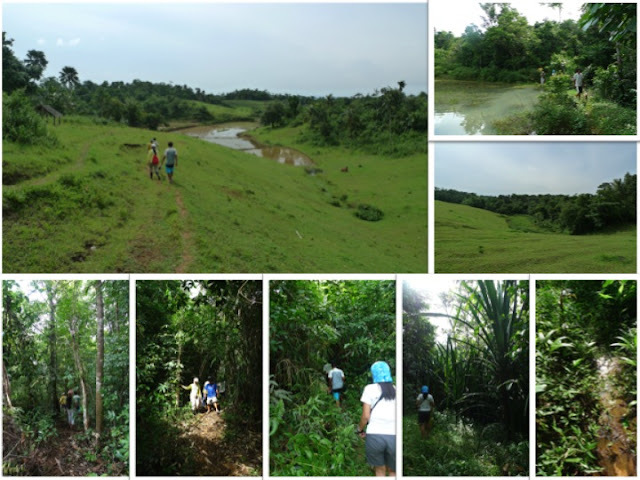 We chose Caliraya as the site of our activity upon the recommendation of Haribon Foundation. 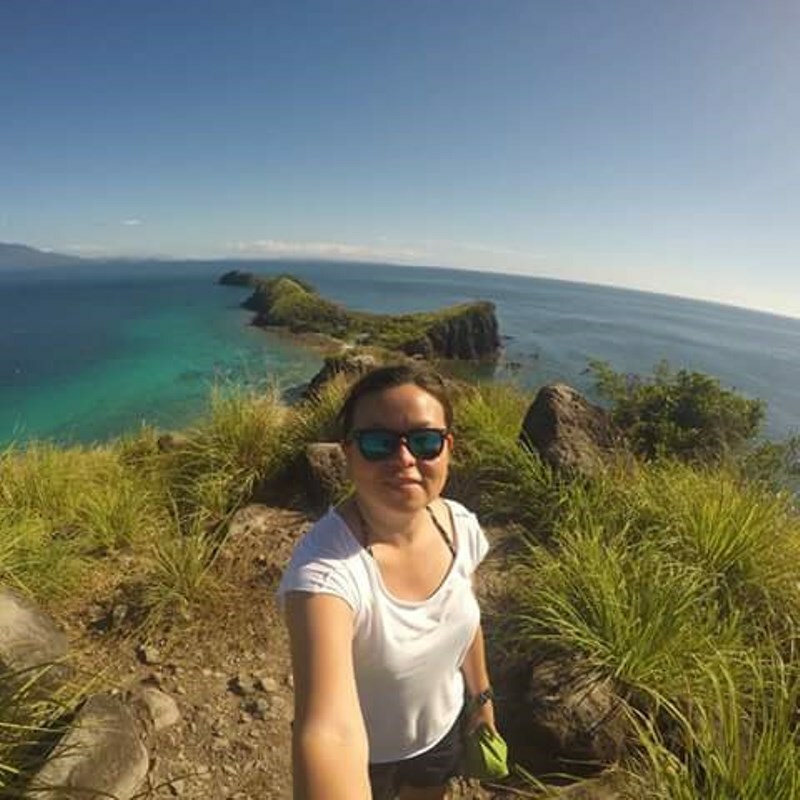 They referred us to Mr. Vince Concio of the National Power Corporation - Caliraya Lumot Watershed Team, who coordinated for us with Barangay Captain Nilo dela Torre of Cansuso. Caliraya Watershed, as emphasized by Vince during our short program before the start of our tree planting, is important for Luzon's electricity. For those who do not know, Lake Caliraya is a man made lake created as a water reservoir for generating hydroelectric power for Southern Luzon. Because of some human activities like kaingin (slash and burn farming), a large part of the watershed has been damaged so we have to help rebuild the forest. Of course, the proper way is to use are native species. 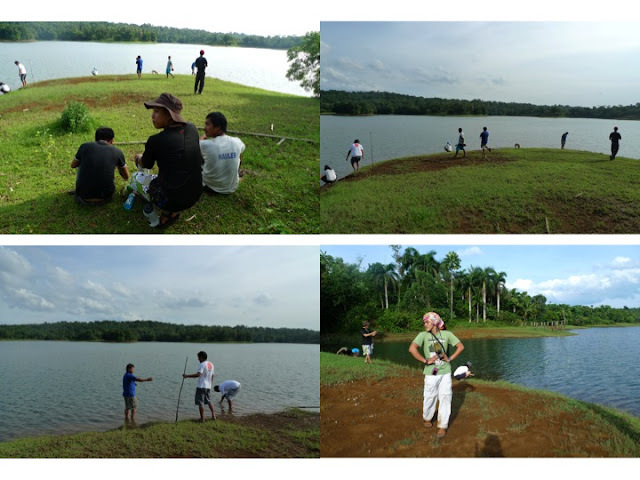 Haribon Foundation is an advocate of planting native species. They do not encourage planting of exotic species like mahogany, gmelina, acasia, etc., which endangers the biodiversity of the environment. For our activity, we planted Bagtikan, Lipote, Muling-muling. 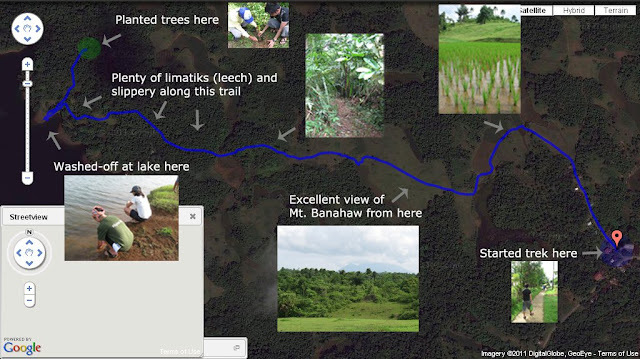 The site given to SABIT Mountaineer's is about a 20 minute trek from the road. It was a good 20 minute walk on rolling terrain. One of our participants, Jeff Arias, made this excellent map. Some of the participants were not prepared for the hike, but I am sure they appreciated the views. When we got their, the barangay officials had jackfruits ready for us. After resting, we started our short program led by kaSABIT and Cubao Elementary School teacher Elias Bacolot. After a welcome remark from Captain Nilo and a briefing from Vince, we started planting with the assistance from Vince's team and some barangay officials. Knowing we have done something good for the environment, we were all happy and hopeful. Our site was very near the lake so we took a different trail back so we can wash-up first at the lake. There were also some limatics on the trail so some of us had to wash off the blood stains. Again, thank you to NPC-CLWAT team, Brgy. Cansuso officials, San Miguel Beer (our sponsor), our tree planters and to the rest of the team who waited for us at our campsite. Cheers to SABIT Mountaineers!